Blog Greater Worcester Gives, Today - Make a Donation to the Manchaug Pond Foundation! Greater Worcester Gives, Today – Make a Donation to the Manchaug Pond Foundation! Today, the Manchaug Pond Foundation, is part of Worcester County’s first-ever online giving challenge, Greater Worcester GIVES! Organized by the Greater Worcester Community Foundation, Greater Worcester GIVES is a community-wide online giving challenge to inspire people to support local nonprofits during a 24-hour period. Please support the Manchaug Pond by donating to us in the challenge! 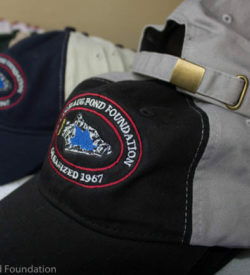 Click on this link or enter http://gwgives.org/#npo/manchaug-pond-foundation-inc in your browser and follow instructions to make an online donation of $25 or higher to Manchaug Pond Foundation. Your gift is tax-deductible. All gifts are unrestricted unless you specify otherwise. You do not have to be a Worcester County resident to participate – all donations are welcome! Spread the word! Help us win the $2,500 or $1,000 bonus prizes!